The objective of the program is to make available to institutions expensive research instruments that can only be justified on a shared-use basis and that are needed for NIH-supported projects in basic, translational, or clinical areas of biomedical/behavioral research. The Georgia Center for Diabetes Translation Research (Georgia CDTR) is a collaboration of Emory University, Georgia Tech, and Morehouse School of Medicine, with funding provided by the National Institute of Diabetes and Digestive and Kidney Diseases (NIDDK) and interinstitutional partners. 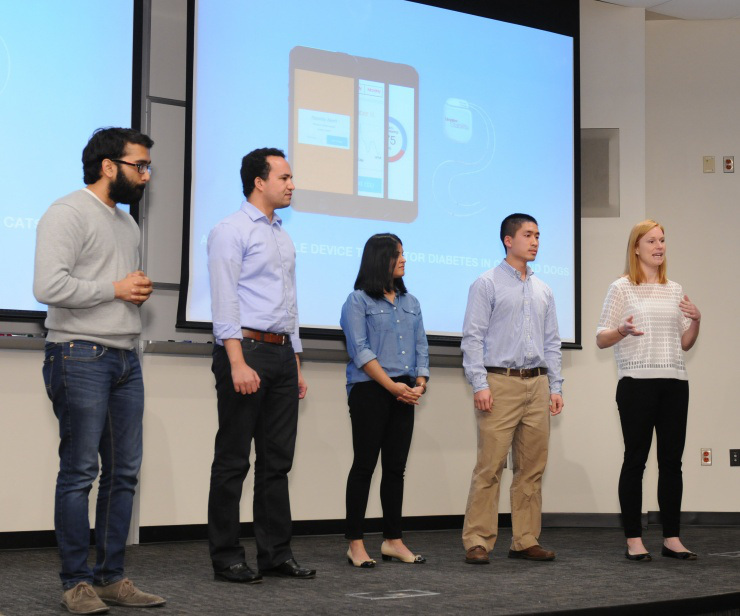 The mission of the center is to facilitate and grow diabetes translation research at Emory, its partner institutions, and regionally. In alignment with this mission, this is a solicitation for small grant proposals that focus on Type II translation research in diabetes care and prevention. The RIVER program seeks to provide support for the majority of the independent research program for outstanding investigators in the Environmental Health Sciences, giving them intellectual and administrative freedom, as well as sustained support to pursue their research in novel directions in order to achieve greater impacts. The award is intended to support the research and research career advancement of outstanding, exceptionally productive scientists who are in the early, formative stages of their careers, and who plan to make a long-term career commitment to research in specific mission areas of the NIMH. This award seeks to assist these individuals in launching an innovative clinical, translational, basic or services research program that holds the potential to profoundly transform the understanding, diagnosis, treatment, or prevention of mental disorders. 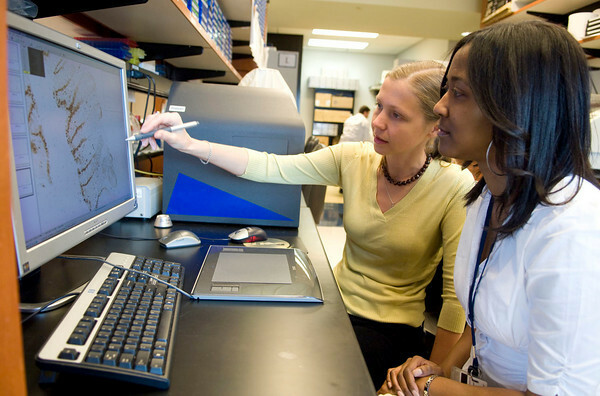 The over-arching goals of the NIH R25 program are to: (1) complement and/or enhance the training of a workforce to meet the nation's biomedical, behavioral, and clinical research needs; (2) enhance the diversity of the biomedical, behavioral, and clinical research workforce; (3) help recruit individuals with specific specialty or disciplinary backgrounds to research careers in biomedical, behavioral, and clinical sciences; and (4) foster a better understanding of biomedical, behavioral, and clinical research and its implications. Allocating Credit-But that was My Idea! Chris Lee, PhD received his BS in Materials Science and Engineering from Cornell University in 2007 and his PhD in Biomedical Engineering from Georgia Institute of Technology and Emory University in 2012. He was the founder, President, and CEO of Vertera, Inc., which was recently acquired by NuVasive, Inc. Prior to the acquisition, Vertera manufactured and marketed the first FDA approved load bearing porous polymer device that mimics the mechanics and topography of bone. He currently works for NuVasive, Inc. and continues to be an active medical technology entrepreneur and angel investor. The challenge is the nation's largest mobile fitness event traveling from coast-to-coast dedicated to keeping kids active and healthy. Kids of all ages get the opportunity to flex their physical fitness by participating in a completion-based obstacle course designed to challenge speed, strength, agility, and overall physical fitness in Piedmont Park. This year, the theme is Solve for X. A diverse group of speakers will highlight their own ideas worth spreading; hear talks from Pulitzer Prize winners, artists, and researchers who are pushing the limits of their fields, and more. Open to all PhD Students and Postdocs in the Atlanta area. 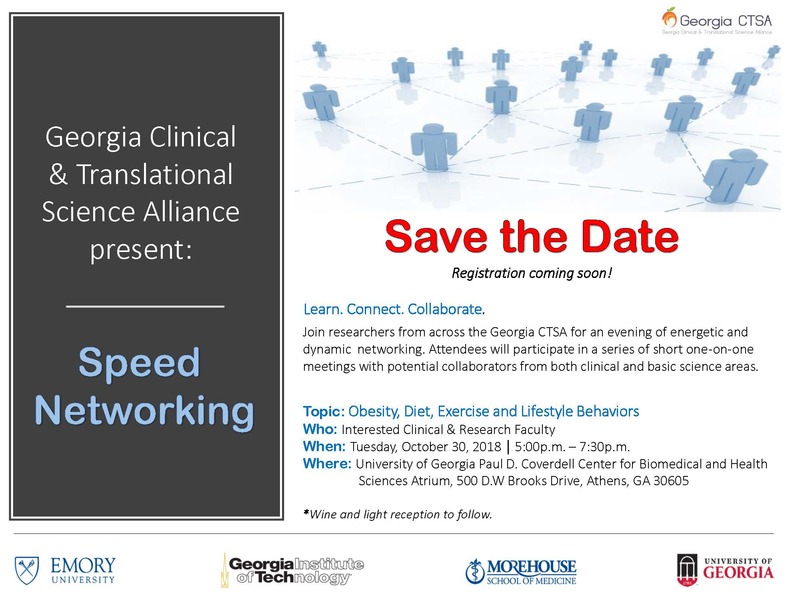 In collaboration with the Atlanta Metro Chamber of Commerce, this is an event for local life science and biomedically related companies to meet PhD students, postdocs, and alumni in STEM fields. This is a chance for trainees to meet local employers and alumni and be informed about the broader career paths available, the skills sets they should develop while in their training, and the experiences companies are looking for in competitive candidates. Presented by Nathan Spell, MD, chief quality officer for Emory University Hospital, and leads the Quality Academy, associate dean for education and professional development at the Emory School of Medicine, where he works across the system to augment professional development, with doctors at the Emory Clinic, the VA, Grady, Children's, and Emory Specialty Associates. Register today and join the 22nd annual Regenerative Medicine Workshop in its new location at the Wild Dunes Resort in Charleston, South Carolina. The workshop provides cutting edge scientific content delivered by a powerhouse line-up of speakers and valuable presentations in the field of regenerative medicine. NCATS will cover a broad range of critical concepts underlying assay development for high-throughput screening and lead discovery projects, along with hands-on data analysis training.